Dressup any Devil Dogs office or home with this magnificent creation. Yes,this is a hand-crafted wood, not ceramic or cast metal. 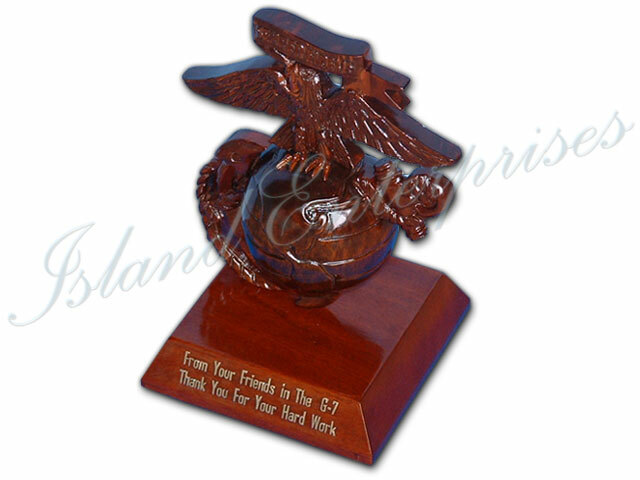 You can customize this with any carved text you want, also great as a going away gift. Available in 12” height and 8” height sizes. Andremember, we offer a 100% money back guarantee if you are not totallyconvinced you have bought the best product available on the market!!! Contact Us for price shipping quote.